Ahead of Sotheby’s upcoming sale, Sylvain Lévy-Alban: Rive Droite/Rive Gauche on 17 April, we met renowned French interior Jacques Garcia who spoke about his friendship and professional life with Sylvain Lévy-Alban. Jacques Garcia designed the spectacular dining room in Lévy-Alban’s Parisian apartment, which astonished guests with its coral and silver tones, fanciful architecture and chinoiserie décor, which alluded to the Parisian house of the Duke and Duchess of Windsor. F or the last forty years Sylvain Lévy-Alban never failed to surprise me with his constant friendship and the permanent sense of renewal he brought to his professional life. His lifelong taste for atmospheres and for intimacy with the past brought us together early on, first as a dealer, then as a friend. The various places which he owned over the years were always the reflection of a deep soul and of a very particular philosophy. He has always allowed his taste to evolve in his professional as well as his private surroundings, without ever losing the essential part of it, which is the search for truth. The diversity of his acquisitions, these intimate objects of life in the past, but also his strong taste for Portuguese and Italian decorative arts, helped me to acquire special pieces which I am strongly attached to. They often are the reflection of a journey, and of his extremely wide knowledge, which brought him to so many different places and periods. 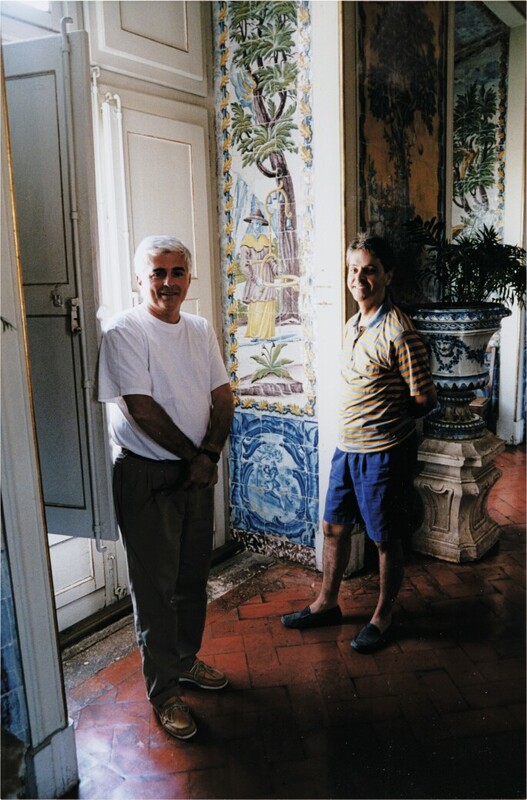 My memory is full of images of the walls in his beautiful medieval country house, covered in blue and white azulejos, of his excited buying trips to Portugal with one of our mutual friends. His passion for Italy, his perfect knowledge of its more emblematic monuments, a fascinating selection of objects brought back from his trips: the royal embroidered gaming purses that he collected with zeal as Liliane de Rothschild had taught him, his taste for fan projects which evoked accurately the way of life in 17th century France and more. It is all these different things that make up his personality and put him in a special place in the art world. Looking at his choice of objects, one is always surprised by his discoveries, It is the unexpected world but it is what one expects from him. His last home, as all the ones before, is a perfect reflection of that temperament of the true dealer: a real amateur as well as a collector, which was the rule in former generations. That's a world sometimes forgotten, and he is one of its last remaining residents.